NETGEAR ProSAFE® high-end Managed switches seamlessly connect end-users, critical services, servers and storage across highly flexible core, distribution and access layers. Our Managed Infrastructure includes state-of-the-art Chassis switches with Passive Backplane and Fixed Configuration switches with Distributed Link Aggregation that work in concert to create a reliable, affordable and simple to use Campus LAN solution. A single-pane-of-glass management platform – NMS300 – increases overall operational efficiency. The NetVanta 3100 Series of high-performance, fixed-port access routers offers a cost-effective IP routing solution for business class broadband networks. The 3100 Series supports higher bandwidth Ethernet based services, as well as ADSL offerings. Certain models feature a four-port fully-managed switch, and an optional analog port for a disaster recovery scheme or to dial-in for remote management. These products are full-featured, low-cost alternatives perfect for secure Internet access or high-speed corporate connectivity using broadband access such as DSL or cable. 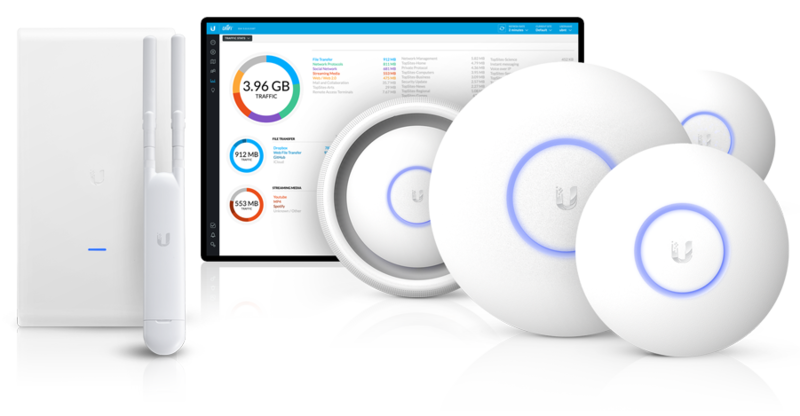 Ubiquiti’s airPrism™ technology provides breakthrough radio selectivity in unlicensed wireless band performance. Our patented airPrism technology isolates signals within the operating channel and rejects interference to improve wireless performance in noisy, high-density areas. airOS® 7 is the next generation of Ubiquiti’s intuitive and versatile firmware technology. airOS® 7 now features dynamic configuration changes with enhanced device configuration (such as instant input validation), HTML5 technology, a persistent user interface, and optimization for mobile devices. The innovative airMAX® ac RocketDish™ and sector antennas feature significant advances in scalability, noise isolation, and beam performance to complement the airMAX® ac Rocket™ radios. Contact us for expert advice on Network Infrastructure, Remote Office Connectivity. We proudly serve Evansville, IN, and the surrounding area.